Just recently Call of Duty Black Ops 4 Blackout Beta has just ended on September 17, 2018. And so far, this game mode has received lots of constructive and positive feedbacks from the gaming community. So until we can experience this Blackout for real on October 12, 2018, let’s round up all things we learn from Call of Duty Black Ops 4 Blackout Beta! 1. What is Call of Duty Black Ops 4? Again, for those who have not paid much attention at Call of Duty franchise, Call of Duty Black Ops 4 is the fourth installment of Call of Duty Black Ops series, including from CoD Black Ops 1 to Black Ops 3. The original Black Ops trilogy is among the most successful Call of Duty games to date, aside big names like Call of Duty Modern Warfare. Yet unlike the Modern Warfare trilogy which focused on terrorism, the Black Ops trilogy took a more complicated approach of “time traveling”. In terms of single-player campaign, the original Black Ops truly feels unique thanks to its fascinating storyline filled with tons of surprising twists. Multiplayer is still also the strong point of Black Ops series, especially Black Ops 3 with high mobility, nice maps, and extensive customizations. With all these successes, naturally most players will expect this next sequel – Black Ops 4 – to share just as great quality as its predecessors in both terms of single-player and multiplayer. Yet surprisingly, the upcoming Call of Duty Black Ops 4 will not include single-player campaign. The game will entirely dedicate to multiplayer, which is expected to maintain the core value of Call of Duty gameplay with new tweaks. 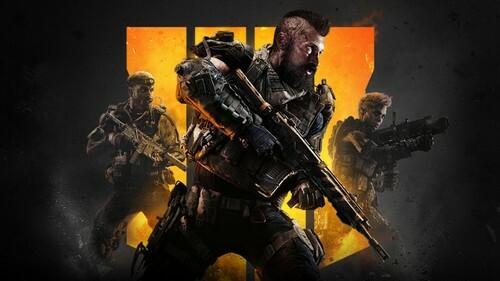 And just recently, a number of players had opportunity to experience the new game mode coming to Black Ops 4 – a battle royale game-mode called Blackout. This game mode will directly compete with the popular Fortnite and PUBG. So what’s different about this Black Ops 4 Blackout Beta? Let’s find out! 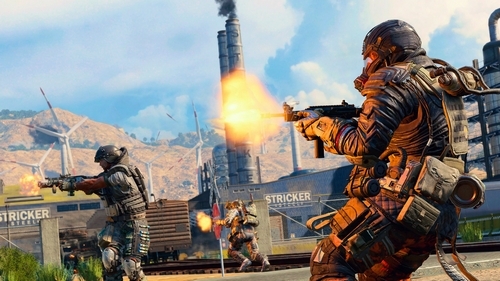 When choosing the Blackout game mode, players will get to choose between playing Solo, or going with a Quad consisting of up-to 4 players in a team. In the “Loadout” panel, players will not be able to customize their characters like other modes. 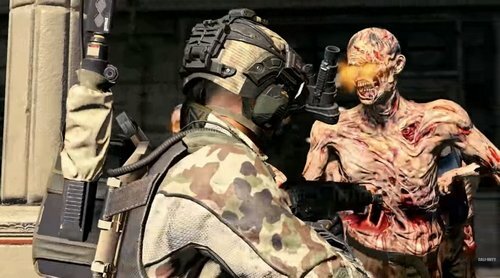 Instead, players can play as their favorite CoD character, ranging from Blackout, CoD Zombie-mode, and Black Ops 4 Multiplayer characters. Based on the Beta version, it seems these characters are “cosmetic” only as they do not provide any benefits in the game. At the start of the game, players will arrive at a staging area and wait 28 seconds til deployment. After 28 sec, the screen will turn black with a Blackout announcement, and then players will be loaded on helicopters, ready to jump down just like in other battle royale games like PUBG and Fortnite. Jumping down system in Black Ops 4 Blackout works similar to Fortnite and PUBG. The only difference is: characters will use wing suit rather than parachute. 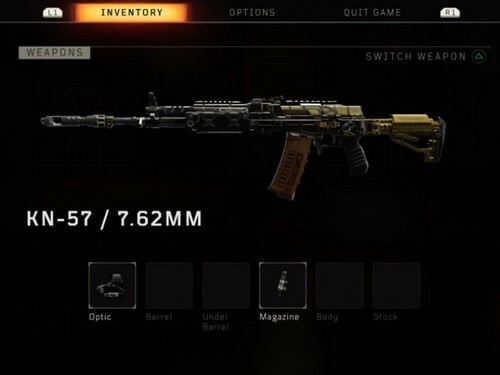 Based on the Blackout Beta, each player can only equip up to 2 weapons, not 4 like in Fortnite. Weapons in Blackout Beta include: Assault Rifles, Snipers, SMGs, Tactical Rifles, Pistols, Launchers, LMGs, and Grenade like Cluster Grenade, 9-Bang, and Concussion. One thing was not included though is weapon rarity system; however, it will be included at release. Each weapon can also be enhanced with 6 different attachment slots: Optic, Barrel, Under Barrel, Magazine, Body, and Stock. 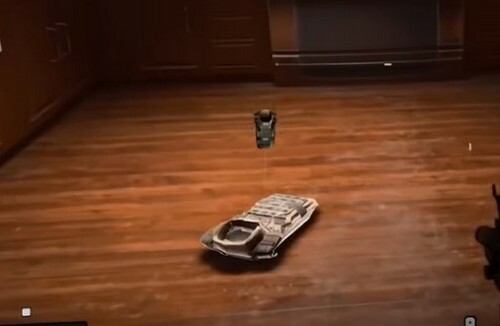 These Attachments will be automatically equipped or swapped when being taken on the ground. Trauma Kit: the rarest and also the best healing item which fully heals to Max HP and even boosts player’s Max HP to 200 temporary. Only Trauma Kit can heal players pass 150 HP thresholds. Each of these healing items will require channeling for a short duration in order to work. Luckily, players can still move around when using the items. Consumer: reduces the required time to use healing items. 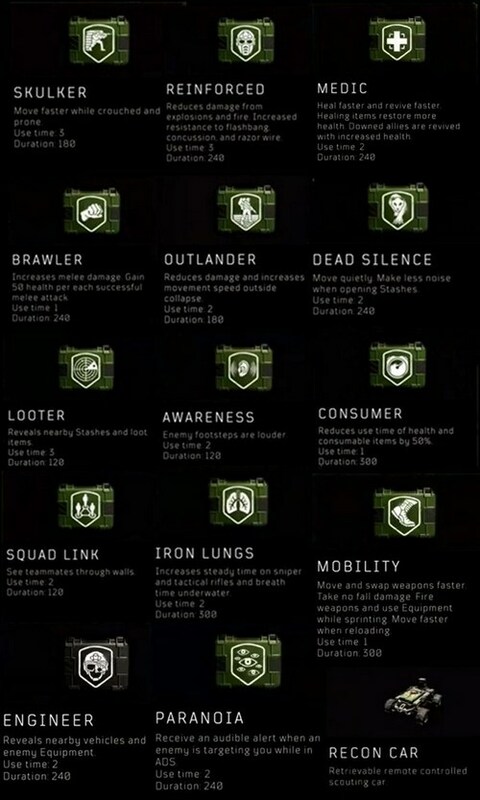 There will be around 21 Perks at release and potentially more will be updated in the future. Onto the Gear element: Each player can equip only one Gear at a time. So far, the only Gear type featured in the Blackout Beta was Body Armor which includes 3 Armor Levels from Level 1 to 3. The higher Armor Level, the better protection it will provide. Also note that Armor can be destroyed after taking in certain amount of damage. We are still not sure whether there are other Gear types or not. One thing to note though, each player will only have up to 5 Equipment slots at the start of the game.The only way to increase Equipment capacity is to get the Backpack which increases the total Equipment slots to 10. And finally, players will have to grab every item manually, including Ammo. Visual-wise, the map in Black Out looks pretty good; however, objects from far distant seem to be downgraded a little bit. Just like PUBG and Fortnite, the map will occasionally close in, causing players standing outside its safe zone to be constantly damaged. 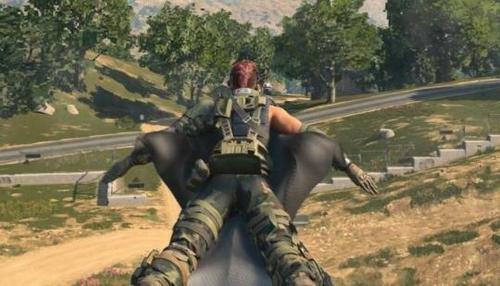 Vehicles are available in Blackout Beta, including air vehicle like helicopter which features a driver seat and 4 side seats for teammates, ground vehicle like cargo truck, the ATV, and boat for water transportation. 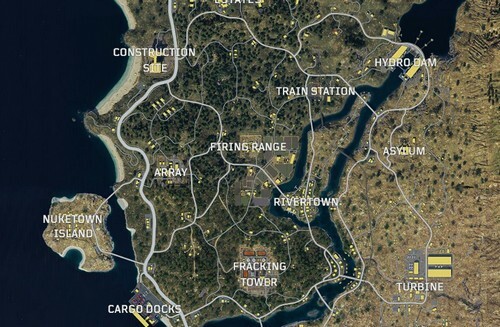 Blackout map consists of a number of CoD iconic maps like the Cargo, Array, Nuke Town, and Estate. 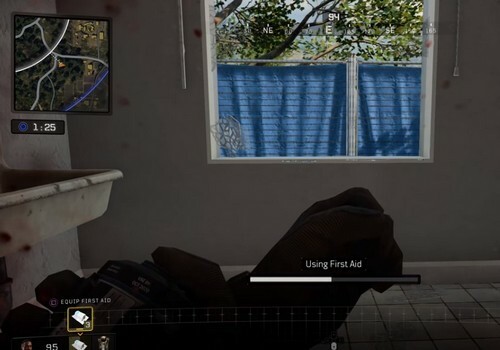 Interesting enough, it also features maps from CoD Zombie mode like the Asylum. And yes, players will get to fight zombies (if they are so desired). Even better, zombies often drop powerful gears and weapons like Ray Gun and Zweihander so therefore, players don’t have to feel bad about “wasting ammo” on these zombies. There is even Mystery Box which only appeared in CoD Zombie modes. Players will find clue of these boxes via the light beam coming from the sky and the thunderclap. But beware; it also alerts players about your current position. And of course, Mystery Box is also guarded by zombies so be ready. One final thing: There will be different game modes which gives different tweaks in a Blackout game. In the Blackout Beta, there is only one mode revealed: Fast Collapse which increases the map-closing rate. Of course, more Blackout game modes will be available at release and we’re excited to see how they will make this battle royale game more fascinating. Level 3 Armor now breaks sooner and passes more damage to the player wearing it, and still offers headshot and other types of damage mitigation. All audio presets will be available at launch in the Options menu. For more details, you can check out this update news. And if you are interested in giving feedback to make this game even better, we suggest checking out Black Ops 4’s official post-Beta survey. And that’s it folks! What do you think about Call of Duty Black Ops 4 Blackout Beta? Feel free to share with us and for now, thank you and stay tune for more news in the future! And don’t forget: the game will be officially released on October 12, 2018! Pingback: What Do We Know About Death Stranding So Far! Pingback: Things We Know About Sekiro Shadows Die Twice So Far!